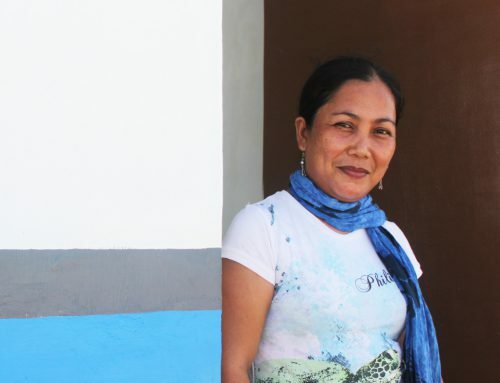 Shirley Elladora and Felisa Amistoso are both friends and neighbors. 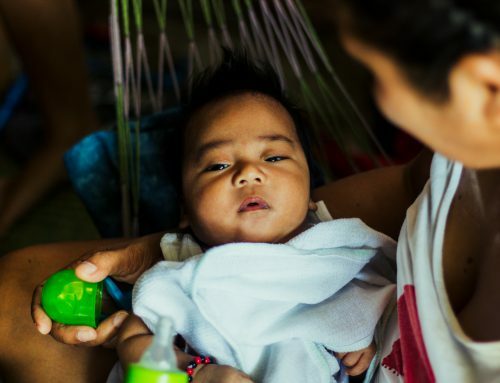 They live in Sitio Samar in the village of Agujo, Daanbantayan in northern Cebu. Their homes are near fish pens and a creek — it floods constantly, especially when it rains hard. 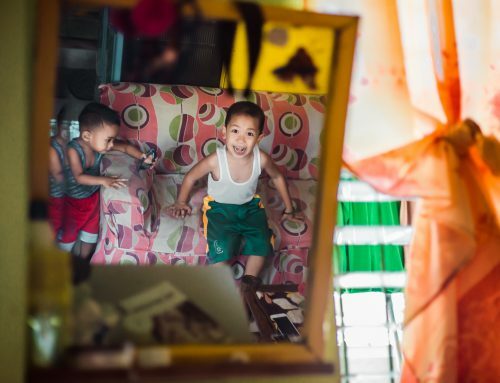 Both their homes were destroyed when Typhoon Haiyan ravaged northern Cebu in November 2013. After the storm, they salvaged wood, metal sheets and tarps to build small shacks on land that is owned by another person. They are in danger of being evicted. But Shirley and Felisa aren’t easily discouraged. They are epitomes of the modern woman: driven, motivated, focused, goal-oriented, and put their families first. They have big dreams and high hopes, but they believe in working for it instead of simply being handed to them. The Habitat core homes are of a revolutionary design. Everything is made of reinforced concrete and steel, even the roof. The “Hypar House,” can withstand strong earthquakes and winds of up to 280kmh. The interiors are cool and spacious — 22 square meters — with a provision for a loft, which can double the floor area to up to 40 square meters. 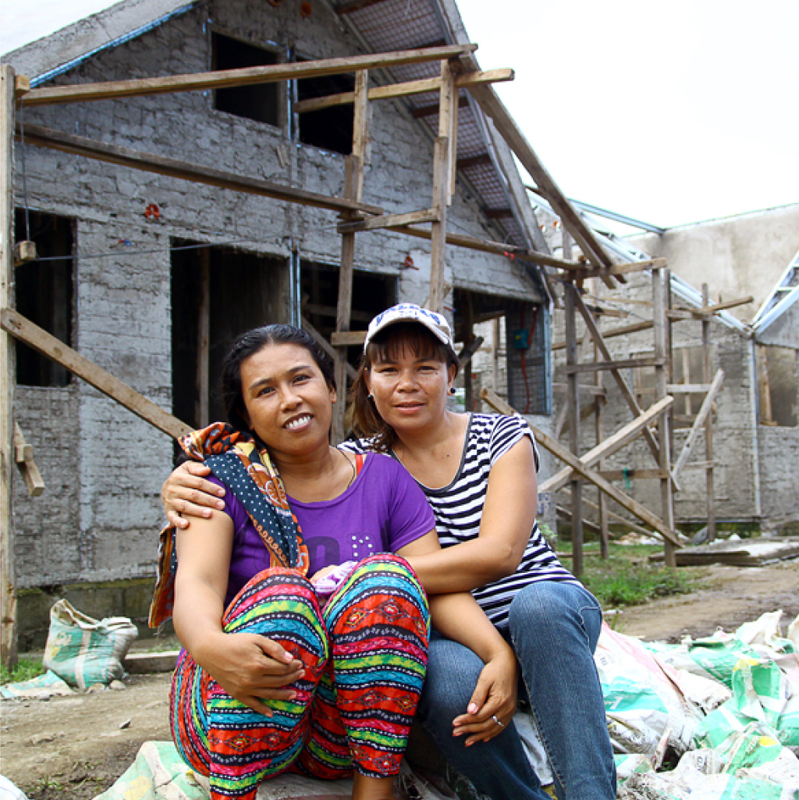 Shirley and Felisa have a dream: they want a new house and a better life for their families. The Habitat Hypar house is a symbol of that dream. And they are hoping, even working – towards it becoming a reality.